Valued at more than US$100 million, Sunset Hills is a residential complex with a touch of a commercial element. 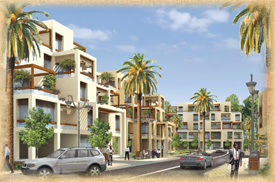 Units include luxury deluxe villas, villas, terraced apartments, and apartment blocks for shops and residences together. 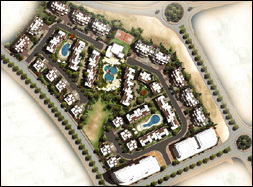 This self-sustained community is strategically located in the southern gateway of the Al Areen development offering breathtaking sunset views to residents. Sunset Hills, scheduled for completion in 2009, covers approximately 500,000 square feet of land with a built up-area of over 600,000 square feet.